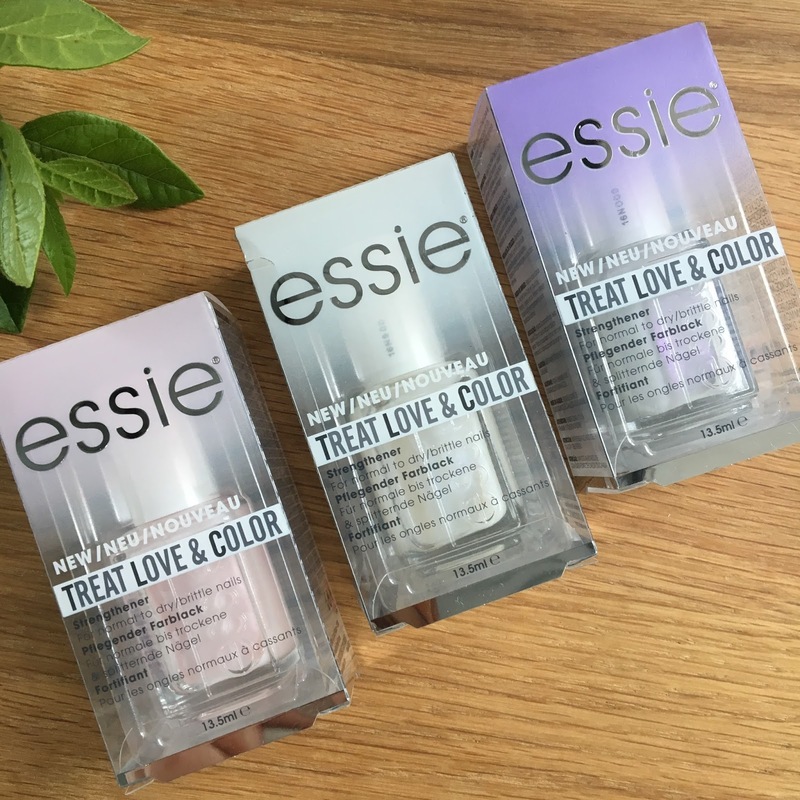 Essie | Treat, Love & Color / Gee Whiskers! Essie has always been one of my favourite nail brands, I own A LOT of bottles and have spent thousands of rands on their products. I always get excited by their new launches and this one in particular made me so very happy. The Treat, Love and Color range is formulated to strengthen dry / brittle nails and is available in 3 different tints. This range restores dry, brittle nails, locks in moisture and enhances your nails with the pigments contained in the treatment. One thing to keep in mind with these is that they are part of the CARE line and are not nail polishes. This means that you won't get opaque coverage of colour, but rather something that enhances the appearance of your natural nail. I've seen a lot of misleading swatches online, so to avoid disappointment - these are not nail polishes but rather treatment products. I wanted to do some nail swatches of these colours but an insect bit me and whatever it was, something got into my blood stream and I have broken out in little red bumps all over my body. But I have been using these treatments for well over a month now and am really impressed the results I have seen. My nails tend to take a knock when doing house work and look incredibly dull. Applying 2 layers of one of these treatments really revives the appearance of my nails and definitely does help treat them. Since using this treatment my nails have not peeled or cracked. My nails get so dry that when I do certain things my nails develop fine lines and pieces will break off the lengths. This has been an ongoing problem for me since I developed anemia. I am over it but my hair and nails haven't ever really been the same. I use these either on their own or as a base coat for my normal nail polishes. MSM - an essential component of healthy nails to help maintain nail integrity. Visually brightening pigments - colour technology using micro-fine layering to create subtle luminous effects. I was sent these products to try out but these are treatments that I personally will purchase again. I most likely would get the white or pink because these two colours really brighten my nails so nicely and gives me a french manicure effect. PS. I don't feel comfortable enough taking photos for swatches and posting them online. But as mentioned in my post, the colour is very sheer and enhance your natural nail appearance. I'll try to take some photos in the coming weeks and post these to my Instagram and Twitter accounts (I am gee_whiskers on these platforms). I really love these but found that with all the swatches I've done, you can hardly see the difference in images and only in person. So don't stress about the lack of swatches.